Ronald J. Real, 70, of Sarasota, Florida - formerly of Elmhurst, IL died June 10, 2008 in his home surrounded by his family. Services are being arranged to be held in Elmhurst, IL. Ronald J. 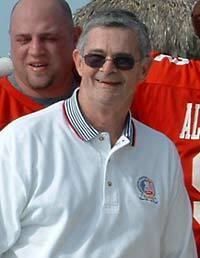 Real, 70, of Sarasota, Florida - formerly of Elmhurst, IL died June 10, 2008 in his home surrounded by his family. Services are being arranged to be held in Elmhurst, IL. Survivors include his wife of 52 years, Cecilia (nee Sieroslawski). Seven children, Sherry (Rick) Davies, Rory (Kathy) Real, Ronda Real, Roxanne (Tom) Knapp, Rae Ellen Pugliese, Mike (Pam) Real, and Russ (Rachael) Real. Twelve grandchildren, Jolie (Matt), Brittany, Talia, Parker, Riley, McKall, Taylor, Brady, Payton, Landon, Carson & Trevor. Ron was a dear Brother- in- law to Gloria Pasik, Loving Uncle to many nieces and nephews. Devoted friend to many. He is preceded in death by his parents Raymond & Loretta Real. Sisters, LaVerne Malone & Shirley Ruess. His best friend and brother-in-law Donald Pasik. Ron was the President of the American Football Association (AFA), and also the President of the Lido Ambassador Condominium Association where he resided. The AFA was founded in 1980 by Ronald J. Real under the name Minor Professional Football Association (MPFA). 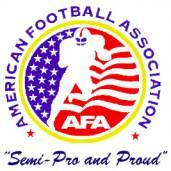 Real dedicated his life to the advancement of semi-pro football, and today the American Football Association is in its 29th year of service as the national association for semi-pro/minor league football organizations. It provides services to approximately 800 teams in 62 different leagues, covering 47 states plus the District of Columbia. There are some 75,000 active football players, coaches, administrators, trainers, officials, and even cheerleaders participating annually in this level of sport. Saturday June 21, 2008 10am. You can find directions and lodging on the Funeral Home web-site http://www.pedersenryberg.com.